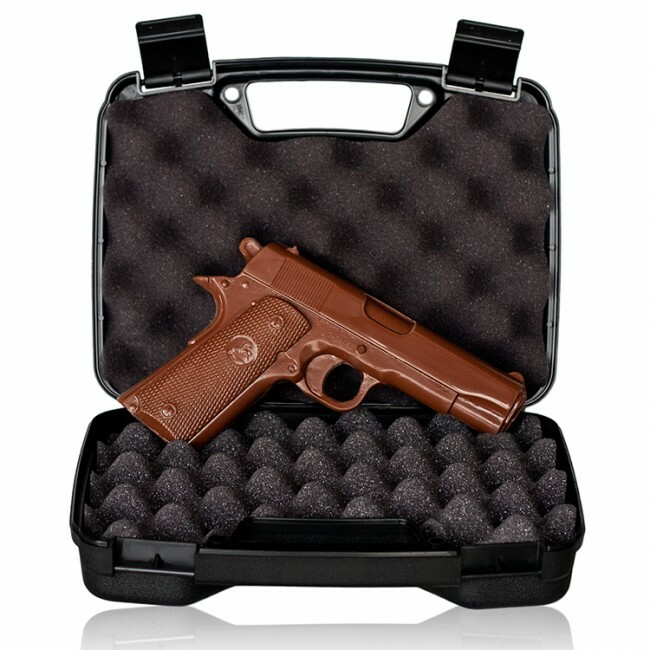 Full size solid milk chocolate handgun. 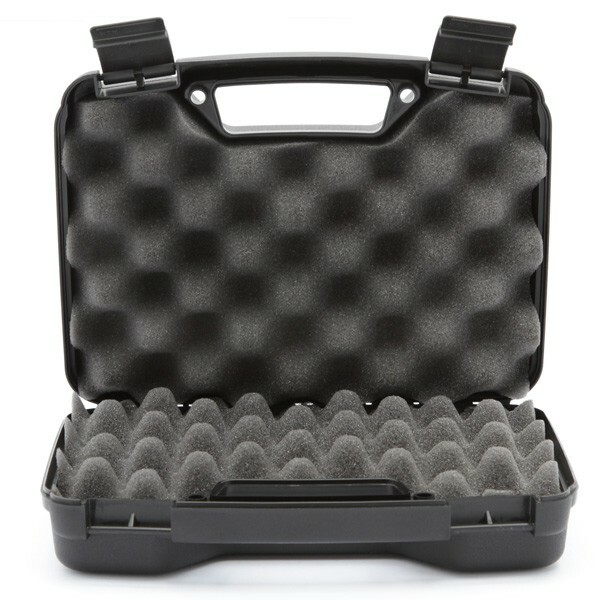 Includes real foam interior gun case. Our most popular chocolate weapon is the 13.5 oz solid milk chocolate hand gun. This Weapon of Mass Delight will surely impress your friends with its quality and design. 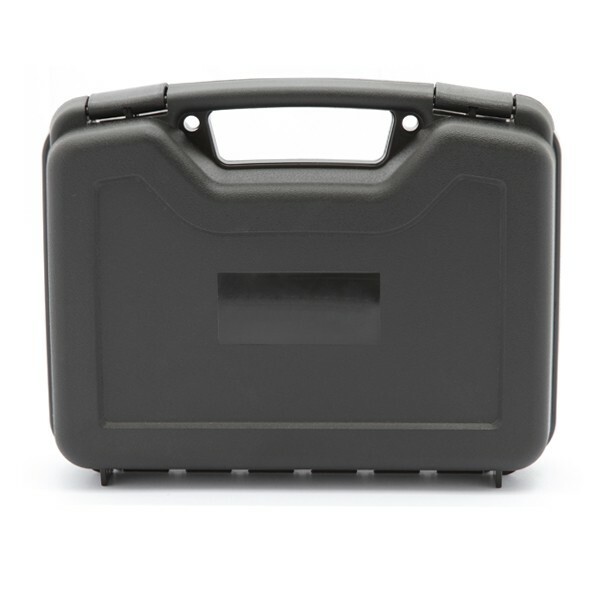 Cleverly packaged in its own foam crate hard cover plastic gun carrying case with a handle. 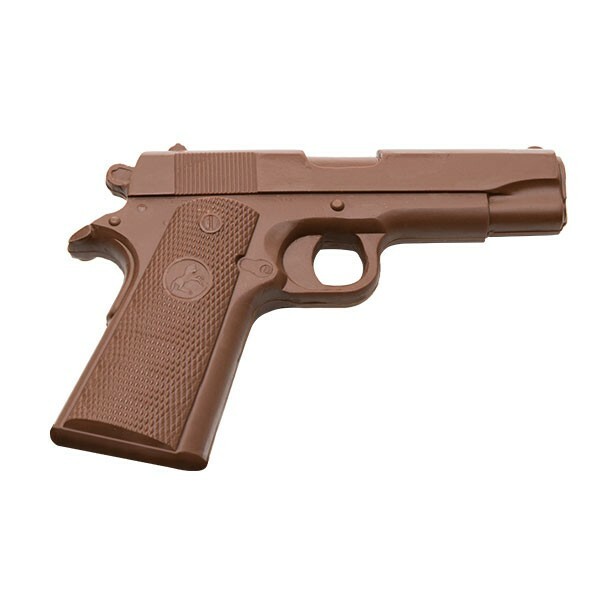 A chocolate hand gun could not taste better than this. The chocolate hand gun looks so sophisticated you may not even want to eat it, but keep it on hand ready to show everyone you know. Case Dimensions: 10.5" x 8" x 3"
Chocolate Ingredients: Sugar, Partially Hydrogenated Palm Kernel Oil, Cocoa Powder, Nonfat Dry Milk Solids, Whole Milk Solids, Reduced Mineral Whey Powder, Soya Lecithin (an emulsifier), Salt and Artificial Flavor. Contains Milk and Soy. May contain trace amounts of peanuts due to common processing equipment..